Not very many five year olds are advising their mothers on wardrobe matters, particularly wedding attire. But then, Michael Kors was no ordinary five year old. When his mother, Joan, was choosing a dress to wear for her second marriage, Michael’s keen eye for fashion was already apparent and his opinions did not go unnoticed. Kors has gone on to build a fashion empire, although one wouldn’t necessarily know that from the way he dresses himself (jeans, a black ‘t’, and jacket are de rigueur). But despite the fact that he eschews personal adornment, Kors is famous for adorning others. Kors attended the Fashion Institute of Technology in Manhattan, just over 20 miles from his hometown of Merrick, Long Island. It was during his fashion school years that he enjoyed his first, early success with his apparel designs at the then trend-setting NYC boutique, Lothar’s. The acclaim for his work prompted him to leave school and begin his career in earnest, with an emphasis on apparel that is both chic and relaxed. Kors’ first runway show in 1984 drew the attention Women’s Wear Daily, their writer observing that his designs represented “elegant yet minimal dressing”. 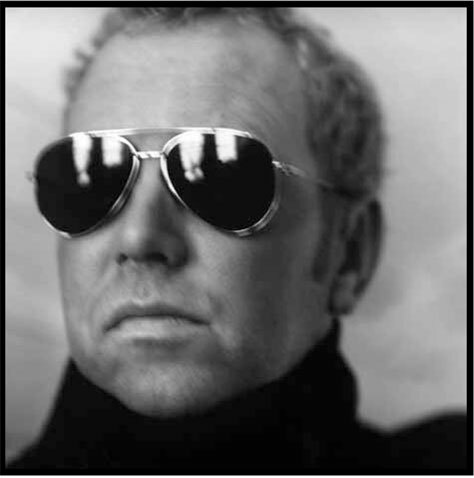 Kors did double-duty from 1998 to 2004, when he served as the creative director of the famous French design house, Celine, while also building his own label. Now the president of his own design empire, New York City-based Kors sells luxury accessories, including handbags, footwear, sunglasses, ophthalmic eyewear, watches and jewelry to 74 countries. The company has more than 200 stores carrying the Michael Kors, KORS, and MICHAEL labels; fromMilantoDubai, fromIstanbultoLondon, flagship stores adorn the world’s high-end shopping districts. Hot styles for the 800 stores across Canada that carry Michael Kors Eyewear include aviators, oversize plastic and straight top frames. Sides points to models M2040, M2453 and M2770 as top sellers. The eyewear fits a variety of lifestyles and a wide range of consumers. Michael Kors customers are men and women who are college educated, appreciate quality and are value driven. Indicative of the wide appeal of the brand is the fact that both Taylor Swift and Diane Sawyer wear Michael Kors. Kors has received many industry awards over the years including a prestigious Geoffrey Beene Lifetime Achievement Award from the Council of Fashion Designers of America, and ACE Designer of the Year from The Accessories Council. He also received the Fragrance Foundation’s FiFi® Hall of Fame award in 2010 and the Award of Courage from the Foundation for AIDS Research in 2011. It appears there’s no stopping Michael Kors, a veritable force of nature in the fashion world. And Marchon will continue to work closely with him to translate the elegantly minimalist elements of his apparel and accessories into eyewear that is coveted around the world.